Models DHR263 are 26mm cordless combination hammers based on Models BHR262 and BHR262T, and powered by two 18V Li-ion batteries in series. 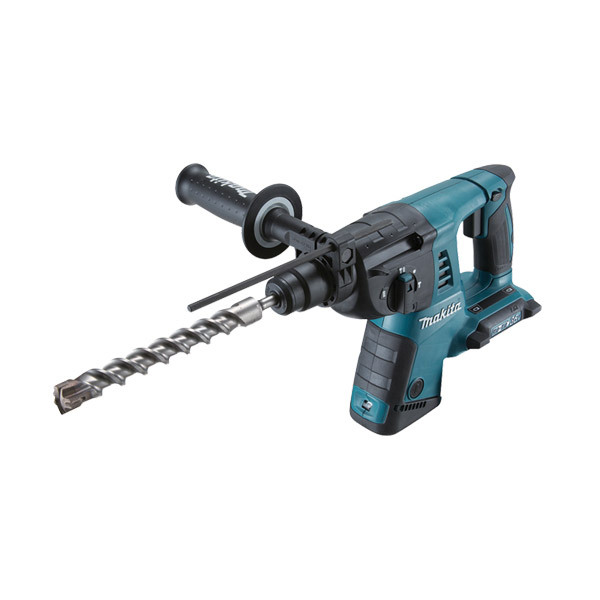 Compact design that maintains the same easy handling and high manoeuvrability as the BHR262. 3 mode operation • Rotation + Hammering • Hammering only • Rotation onlyWhen different capacity batteries are used together, (for example 3.0Ah BL1830 and 4.0Ah BL1840, or fully charged BL1830 and 70% charged BL1830), the machine stops when the battery with less capacity gets empty.